Computer technology editor, writer, author, and instructor with over 30 years experience. Printers that can print two-sided pages automatically—and nowadays most but the least expensive can—have been with us for a while. These printers are said to be auto-duplexing, which means they have a device near the end of the paper path that grabs the page and automatically flips it over so that it can run back through the printing apparatus to print the other side of the page. Not everybody prints two-sided pages, but having the ability to make doing so automatic surely must ensure that a lot more people do, and using half the paper most of the time must be good for just about everybody. 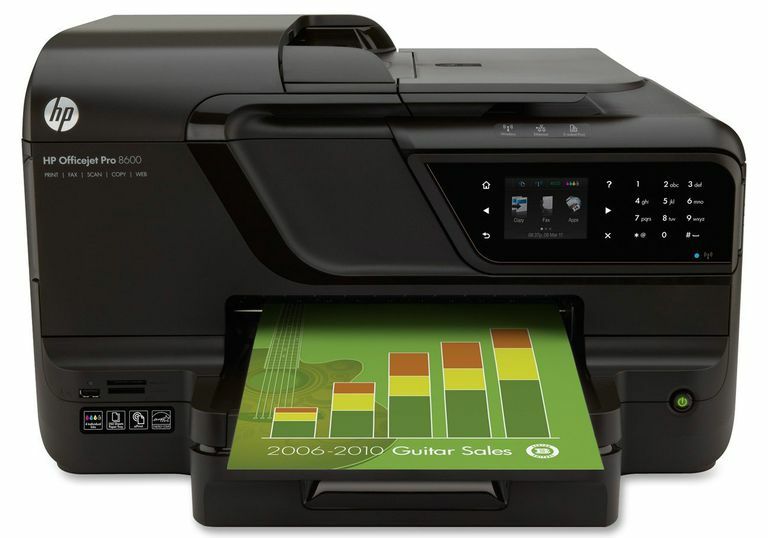 While this is not a hard and fast rule, typically printers and all-in-ones (AIOs) that cost under $100, such as Canon Pixma MG2420, don’t come with a duplexing print engine, while slightly more expensive models like the Pixma MG7120 do. Not only do some midrange and high-end AIOs come with auto-duplexing print engines for printing two-sided pages, but most also come with auto-duplexing automatic document feeders (ADFs) for feeding two-sided original documents to the scanner. In many ways, auto-duplexing ADFs are more of a convenience and timesaver than are automatic two-sided print engines. But first, let’s look at ADFs in general. They come in several different sizes, ranging from as low as 15 to 25 pages to 35 or 50 pages; although nowadays most ADFs support either 35 or 50 originals. Without an ADF, you are forced to scan your original documents—whether you are scanning them to your computer or a memory card, copying them, or faxing them—one page at a time. This entails setting the first sheet on the scanner glass, or “platen,” initiating the first scan, copy, or fax, from either the printer’s control panel (PC-Free) or from a PC, finishing the first page, removing it from the scanner bed, and then repeating this process for each page. Depending on how many pages you’re processing and how, scanning multiple pages manually can be quite a hassle, especially if your application entails saving the scanned pages to files or faxing multiple pages. In fact, faxing multiple pages from an AIO without an ADF usually entails faxing one page at a time. With an ADF, though, you can just insert your originals, set the job up and go—unless, that is, your originals are two-sided. Then you are stuck scanning one side of each page, turning the stack over, and then scanning the other side. With an auto-duplexing ADF, on the other hand, the AIO scans and processes one side of the page turns the page over, and then passes it over the scanner platen again, repeating the process for each page. Not only does this make scanning and faxing multiple two-sided documents much easier, but it really helps with copying two-sided documents, where both the scanner and the print engine come into play. When both the print engine and the ADF support auto-duplexing, you can copy two-sided originals with just a simple few setup steps from the control panel, and the printer does the rest. The ADF passes the first side of the first page of the scanner bed and then scans the other side. Then the print engine starts printing the first side of the first page, turning it over and then printing the other side, and while this is going on, the ADF has started to scan the second page. And on the process goes—scanning one side, the other, printing one side, then the other, on and on, until the job is finished. If you’ve ever tried to copy a two-sided multipage document manually, with all the trying to figure out how to feed the originals and the printed pages back into the machine, you surely have an appreciation for an auto-duplexing ADF. What Does the Work-and-Turn Concept Mean in Printing?